Georgetown Locksmith Pros can help you with premium locksmith services in the area. We offer a variety of lock upgrades that can help keep your property protected. Instead of choosing just any locksmith for your repairs or installations, choose a company that has plenty of experience and that uses advanced technology. Turn to us for expert residential, commercial, automotive and Emergency locksmith services. And, if you are interested in assistance installing or maintaining profile cylinder locks, you’re in luck, that is one of our specialties! A profile cylinder lock is a secure lock that can be trusted in homes as well as businesses. The cylinder in it can be unscrewed by a skilled technician if the lock ever needs to be rekeyed. There are different locking mechanism types in profile cylinder locks like pin tumblers, wafer tumblers, and disc tumblers. We can help install or repair your profile cylinders with ease. When it comes to lock services, we are experts. We can help you decide what type of profile cylinder system would be right for you. You may need a cylinder lock to open one door, or you may want to have a system that will allow you to open multiple doors with one key. There are also master lock systems that can allow you to use separate keys on all doors while still having a master key that will open all of the doors. The right choice will depend on your specific needs and budget. We can help you with one door for your home, an entire commercial complex, or for specialty locks like those seen at many of the historic attractions in Georgetown. 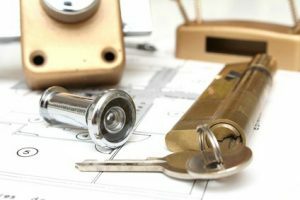 It is important to hire professional locksmiths that you can trust so that you know the job will be done right. Our pros will arrive at your property quickly. To be more specific, we have a 30 minute or less response time guarantee. Our expert technicians will have the right tools and equipment to make sure that your locks are repaired or replaced properly. Our team uses quality products at all times to make sure that your lock services turn out perfectly and we are licensed, bonded and insured for your complete satisfaction. Georgetown Locksmith Pros is a company that you count on to offer fast and friendly services. We provide upfront pricing to make sure that you know everything before you hire us to do the job. We believe in offering honest services, and our goal is to give you the best services possible. When you need a company that offers 24-hour emergency locksmith services, give us a call. 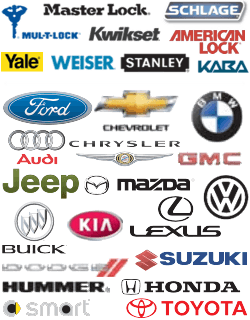 We are a mobile locksmith company that you can rely on for everything from profile cylinder lock installation and repair to lockout services and more. Contact us today for premium locksmith services whenever you need them. Profile Cylinder Locks https://georgetown-locksmith.co/lock-services/profile-cylinder-locks/ 3.6/5 based upon 26 reviews.